CSLP partners with Bedtime Math, a nonprofit organization that aims to put the fun and discovery back into learning math. Bedtime Math publishes a fun new math problem daily (bedtimemath.org). Families read a fun fact or watch a quick video – then solve the math riddles based on what they’ve read. It takes just five minutes a day, and parents can access the problems via email or a free app. 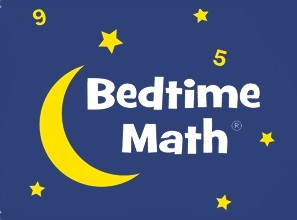 To encourage families to add a little math to their summer reading, CSLP members can participate in Bedtime Math’s Summer of Numbers Program, where kids track their summer math using a fun constellation chart and star stickers. New this year, CSLP members can provide a special reading record with a Summer of Numbers constellation chart, making it easy to encourage both reading AND math. CSLP is partnering with the National Network of Libraries of Medicine (NNLM) to help bring outstanding health related programming to public libraries. An Ad Hoc Committee, with members from both organizations, has been formed to create a health focused addendum to the 2019 Summer Reading Program Manual. This addendum will provide programming ideas and resources for summer reading programs, primarily focusing on teen, adult, and family programs. This partnership is also working on the goal of connecting public libraries to their Regional Medical Libraries. By working together, we will help empower librarians to help build healthier communities. Read Aloud 15 MINUTES National Campaign believes that when every child is read aloud to every day for at least 15 minutes, from birth to age 8, we will change the face of education in our nation. 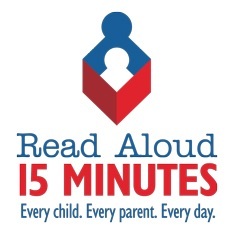 Read Aloud 15 MINUTES National Campaign is proud to co-brand a parent handout and summer reading list with our National Leadership Partner SCLP. Together we will encourage all parents to visit their local library and participate in summer learning activities. Read Aloud has more than 10,000 partners across all 50 states including libraries, schools, day care providers, businesses, health care providers, and non-profits who share our campaign messages with the parents their organization reaches during our three campaign pulses; in March, July, and October each year. Join our campaign today. It’s easy and it’s free. To learn more about the why and how of our national campaign, please view our “Why A National Campaign” video. The STAR Library Education Network (STAR_Net) is a hands-on learning network for libraries and their communities across the country. STAR_Net focuses on helping library professionals build their STEM skills by providing “science-technology activities and resources” (STAR) and training to use those resources. You are invited to join this FREE network to share success stories through the STAR_Net blog, participate in webinars, and receive the STAR_Net online newsletter. Find hands-on STEM activities for all age levels and related resources through the STEM Activity Clearinghouse. 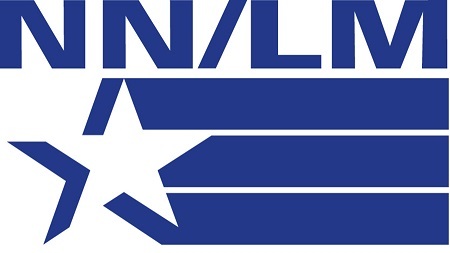 STAR_Net is built upon a strong network of collaborators and partners, led by the Space Science Institute’s (SSI) National Center for Interactive Learning (NCIL). Applications accepted from February 1 – March 22: Engage public audiences nationwide in informal and lifelong learning with the excitement of NASA exploration and discovery through new NASA@ My Library resources! Apply to become a NASA@My Library Partner at https://apply.ala.org/nasalibraries! The American Library Association (ALA) Public Programs Office invites ALA members and nonmembers to apply. CSLP views partnerships as two organizations working together to achieve a common goal. These collaborations develop organically over time, and allows both sides opportunities to make meaningful contributions. These relationships are mutually beneficial and can be formed to meet long or short term goals.